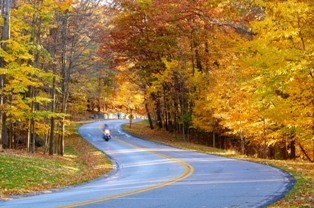 Motorcycle season is an excellent time to hang up your car keys and roll out your bike. Washington is full of beautiful scenery and long winding roads that are ideal for motorcyclists who wish to appreciate what the state has to offer up close and personal. However, despite how carefree and majestic the ride may be, you can’t lose sight of safety. Unfortunately, the attributes of motorcycling that make it exhilarating are also the ones that make it dangerous. The lack of doors and windows allows you to see and feel the world up close, but it also drastically decreases your protection in the event of an accident. Therefore, you must be extremely vigilant when it comes to safety and recognizing potential threats, as well as avoid scenarios that could put you at risk. Left-hand turns. The single most dangerous situation for motorcyclists is when a car makes a left-hand turn. These collision scenarios account for 42% of all accidents involving a motorcycle and car. The danger arises when the car attempts to turn while the motorcyclist attempts to pass or overtake the car, or when the motorcyclist is adjacent to the car and attempts to go through the intersection without making sure the car driver sees him. As a result, either the car will barrel into the biker, or the biker will T-bone the car. Potholes. Hidden or unseen potholes can easily cause a motorcyclist to lose control of his bike and swerve into traffic, slide under a truck, or be forcefully dragged or thrown from the vehicle. Blind spots. Motorcycles are extremely hard to see in car mirrors and nearly impossible to see in blind spots. In addition to their small size, car drivers aren’t expecting to see a motorcycle near them, and therefore, do not specifically look for it. As a result, many accidents are caused by drivers changing lanes and crashing into a motorcyclist they didn’t see. Intoxication. Drinking and driving and drinking and riding are both scenarios that don’t end well for motorcyclists. It doesn’t matter which driver (the car driver or the motorcyclist) is intoxicated, if one vehicle loses control in proximity to the other, the likelihood of a collision is pretty good. Unfortunately, the motorcyclist will endure most of the injuries. Did you find this article interesting and helpful? Let us know by liking us on Facebook and sharing this page with your friends and family. Post a Comment to "Common Riding Scenarios That Put Motorcyclists at Risk"